The biggest cricket league in the world, the IPL is less than a week away and the anticipation is increasing every day. IPL 2019 promises to be another entertaining ride for cricket fans all over the world. 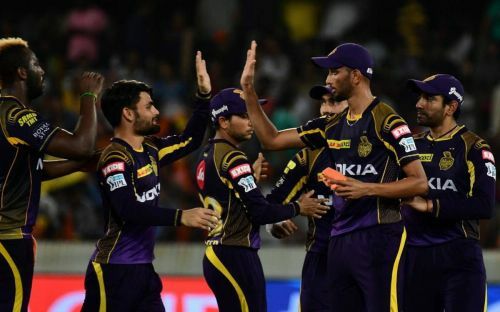 Kolkata Knight Riders face Sunrisers Hyderabad on 24th March at the Eden Gardens. KKR look like a balanced side, but they just lack a little bit of depth. They are well stocked in terms of batting and may look the same from last year. Skipper Dinesh Karthik leads the way in their batting department. They are a little short on Indian fast bowlers as Kamlesh Nagarkoti and Shivam Mavi have been ruled out for the tournament. But they still have Prasidh Krishna from last year. They also have a plethora of brilliant spinners with Kuldeep Yadav leading the way. KKR's top order will look a lot similar to last year's. The openers would be Chris Lynn and Sunil Narine. Lynn and Narine have been providing KKR with brilliant starts for quite some time now. Narine in particular has become a very attacking batsman. Lynn typically takes a bit of time to get going. Narine comes in handy with the ball too as he bowls 4 overs for KKR almost every match. In at number 3, will be Robin Uthappa. Robin has been KKR's mainstay for some years now and he will be again playing one down, just like last year. Robin is a typically attacking batsman and he can play spinners very well. He has the ability to keep the momentum going in the middle overs and he can up the ante at any given moment. KKR's top 3 look quite settled at the moment.